Established in 1866 in Oslo, the Meteorologisk Institutt is a public institute under Norway’s Ministry of Education and Research that provides meteorological services for both civil and military purposes, including authorities, commerce and industry, institutions and the general public. It recently introduced a new identity designed by Oslo-based Neue. Meteorological institute’s social mission is “to safeguard life and property”. The assignment is dependent on the knowledge of the subject at hand, in combination with how this knowledge is conveyed. The circle and the curve in the logo illustrates these two sides. The subjects of research; the earth and the atmosphere, and what’s conveyed, free flow of data and knowledge. The symbol also gives associations to nature; the sun and the sea or the moon and the mountains. Moody presentation of the new logo. The circle and the curve in the logo illustrates two important items with us: The earth and the atmosphere, and the free flow of data and knowledge dissemination. The logo is the stamp that comes our social mission: to protect life and property. Logo in different languages and locations. Rather than pinpointing meteorological events, the old logo pinpointed the location of the nearest shark fin. Juvenile comments aside, the old logo looked weather-ey at best but didn’t really amount to much of a memorable mark. The new logo, toeing the fine line between attractively simple and lazily boring, manages to stay on the former with a clean and serious execution in the form of the earth/date icon and Nordic-nouveau typography. (I just made that last part up, but y’all know what I’m talking about). The logo extensions with the different colors and line wobbliness aren’t as successful as the main logo but do help animate the idea that the logo can change based on conditions and location. 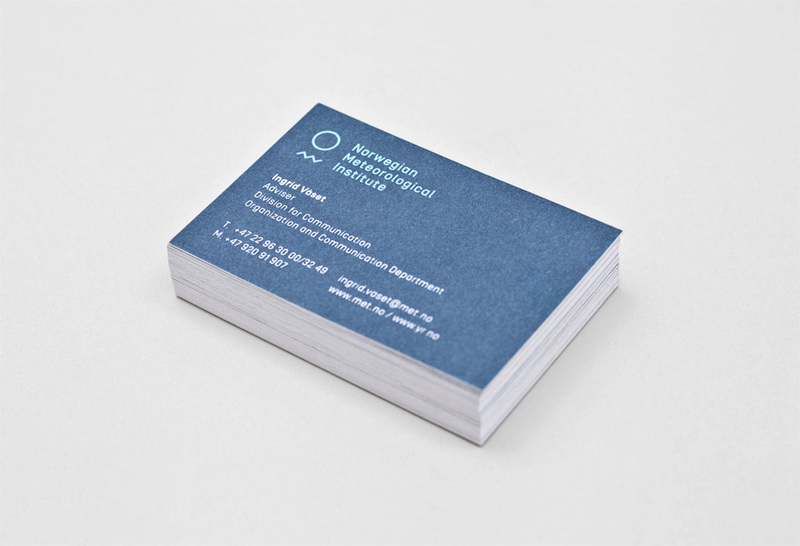 In application, the identity improves with the introduction of the dark and light blue color palette and plenty of white space for the logo to stand out. The zigzag pattern starts to feel too much like waves and it would have been interesting to see more integration of the other shapes for more of a quilt-like approach. 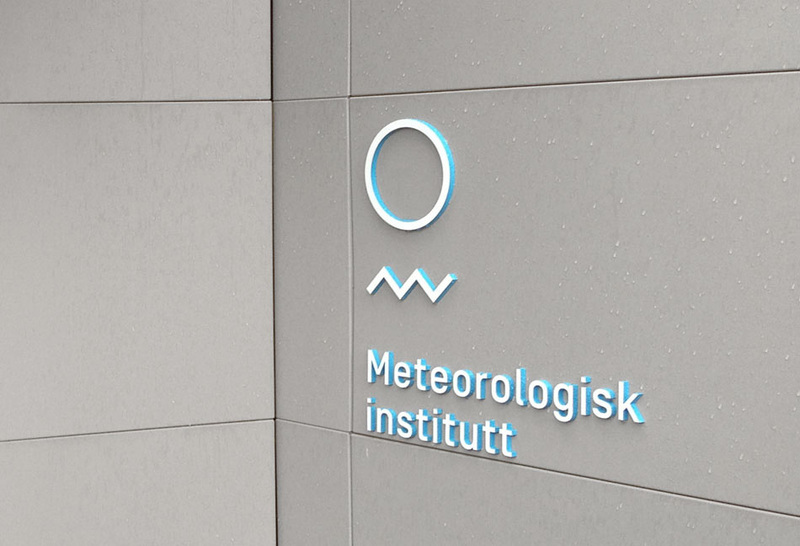 Overall, this is the coolest identity for a meteorological institute. 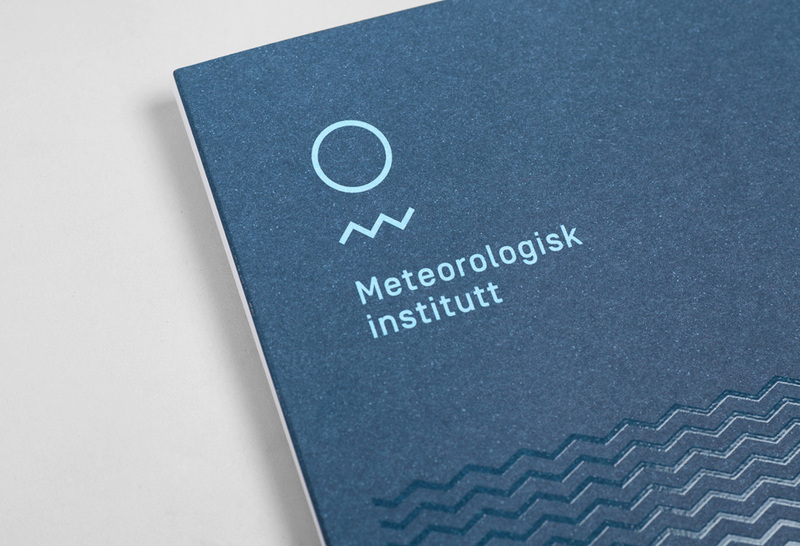 Established in 1866 in Oslo, the Meteorologisk Institutt is a public institute under Norway's Ministry of Education and Research that provides meteorological services for both civil and military purposes, including authorities, commerce and industry, institutions and the general public. 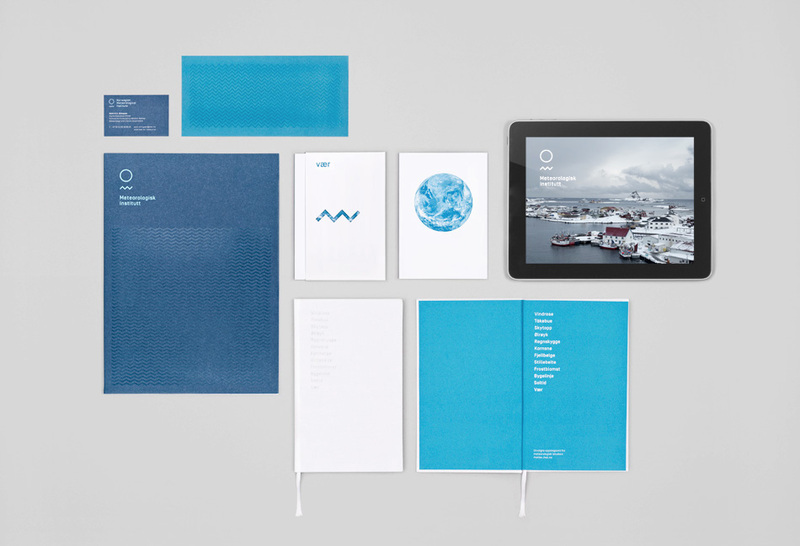 It recently introduced a new identity designed by Oslo-based Neue.